It’s no secret. 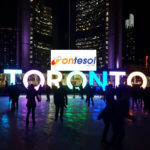 We actively hunt down and promote the best online TEFL courses. The ESL market thrives off the employment of young graduates. Not only is it a strong marketing point for schools but it also serves as indicator of your level of experience in relation to the position. Most entry-level employers don’t ask that your super-experienced. They just need you to be qualified so you can get a work-permit to legally work in the country. Let’s face it college is getting more expensive and the job market salary hasn’t changed for years! Every penny counts in this day and age. There is just so much more you could do with your money you would save going online. Enroll in local activities in your new country. Stash in the savings for ‘just in case’ money. Travel and explore on the weekends/holidays. At Best Online TEFL we’ve had an overwhelmingly positive response from two top TEFL courses. A majority of the students who enroll in online TEFL courses are those ages 18-35. The prime Millennial age! As online TEFLs are starting to become the norm. More and More employers will start to look to see if applicants have either a in-house or online TEFL certification. For regions like Asia and South East Asia online courses are already the norm. Most Millennials are either working a full-time job for minimum wage or still in university finishing our degrees. Unfortunately, money doesn’t grow on trees for most ESL teaching hopefuls. Choosing an online TEFL course provides flexibility in schedule so one can properly prepare time for learning. Most on-site TEFL courses require you to be in person during set times. There is no rescheduling class because something “came up”. Courses are also a fraction of the price when choosing online. Nothing will beat hands-on training, but saving +$1,000 is a powerful motivator for most when deciding to go online over on-site. The ESL Market Thrives Off Youth! As former teachers we know how the ESL market thrives off youth. Most employers don’t want teachers any older than 55. Although it’s still possible to find work you’d need to have a some time of experience to be considered. Remember, at the end of the day ESL is a business. People are trying to make money and some of that money is going in your pocket at the end of the month. How a language school or government school presents their lucrative English Department/teachers to parents is very important. One student could be the difference between $1,000-$2000 in their pocket to $0. English is a luxury that only few can afford and it’s not cheap. Yes, at times you may feel it’s more about appearance than actual qualifications but that’s often not the case. 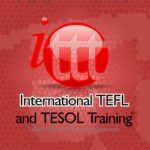 Most Online TEFL course are no more than $300! 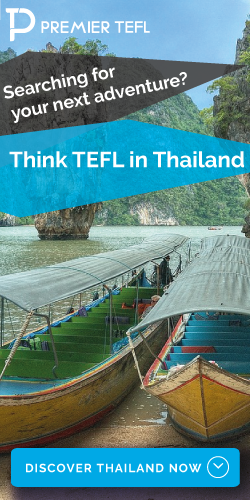 While on-site TEFL courses range around $1000. What could you do with an extra $700? Surely a lot! Especially if you’re in another country where the dollar compounds in local currency after exchange rate. 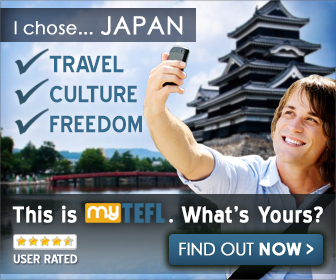 The main selling point for any online TEFL is price and convenience. Offering courses online has given an opportunity to those who would otherwise not have chance to qualify and find work abroad. Making the decision to teach English in a foreign country involves important decision making and timing. If that window slips you may never find as keen an opportunity in your life to make the dream come true. Most people like to dream about the idea of traveling abroad. Immersing themselves in a new country, culture and language. Making new friends along the journey while learning things about themselves that they never would of if they hadn’t taken the opportunity. There is never a hurry to get out into the teacher world but once you make the decision to go through with it it’s important that you plan carefully and take the crucial steps to doing it correctly. As always if you need help or assistance please reach out to us and we’ll help. Tags best online tefl why online?